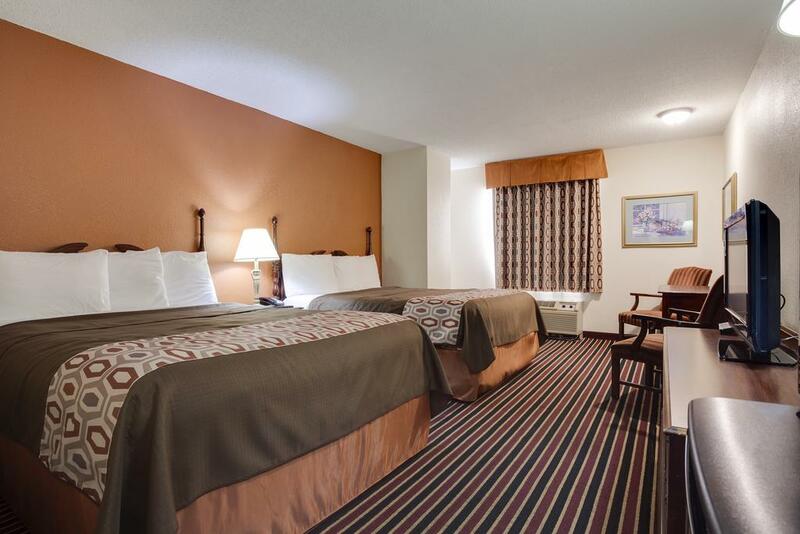 This Pigeon Forge Mountain Vista Inn and Suites is less than 10 minutes' drive from the Dollywood theme park. 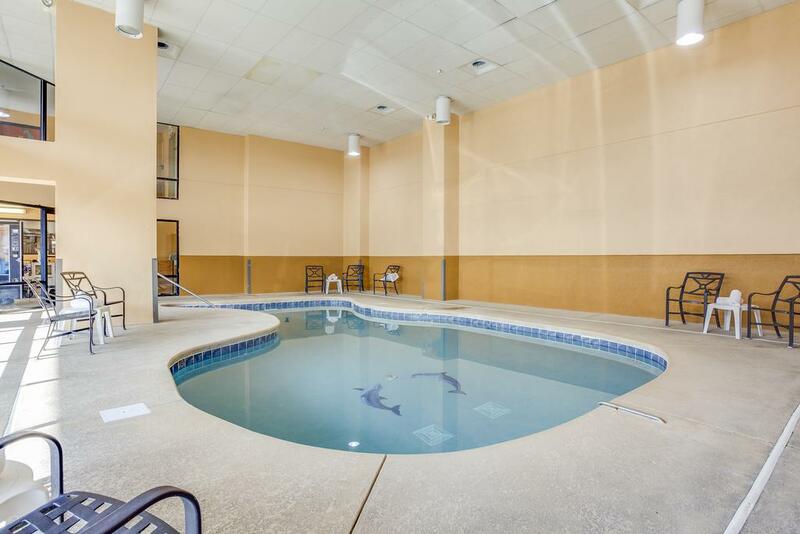 This smoke-free hotel has an indoor pool. Free WiFi, a microwave, and a refrigerator are provided in every guest room of this Pigeon Forge hotel. Guests will also enjoy a cable TV in every room. Some suites have a spa bath.Vending machines for snacks and drinks are available at the Mountain Vista Inn Pigeon Forge. 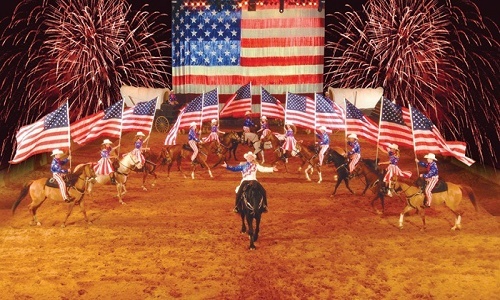 For family fun and adventure during vacation in the Great Smoky Mountains of Tennessee Dolly Parton’s Stampede Dinner Attraction in Pigeon Forge, TN for a family feast and fantastic show fun for all ages.Filled with friendly North and South competition, thrilling horse riding stunts, spectacular special effects, phenomenal musical productions plus a mouth-watering four-course feast complete with a delicious dessert! Also, Stampede’s SKEETER & NUGGET™ deliver a huge helping of family-friendly comedy at every show! 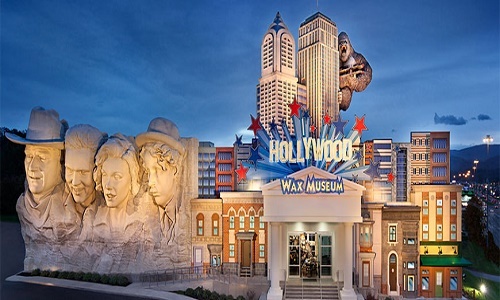 The Hollywood Wax Museum is a two-story wax museum in Pigeon Forge, Tennessee. It features replicas of celebrities in film, television and music. 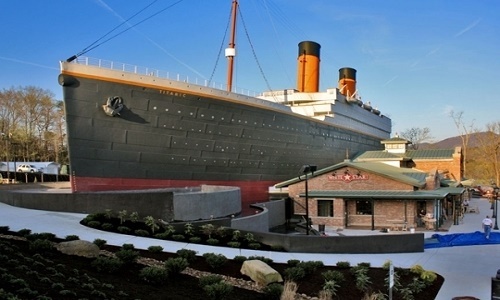 The Tennessee museum was originally located in Gatlinburg, Tennessee.It is the largest wax museum in the United States. The building is a tribute to the U.S. film industry and the artists who have become part of American culture and includes a Hollywood version of Mount Rushmore. and a six-story high Empire State Building being scaled by the Great Ape of Pigeon Forge. 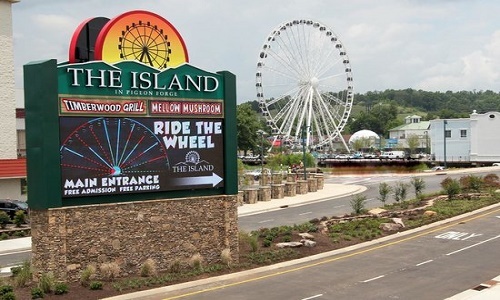 The Island in Pigeon Forge is one stop in Pigeon Forge for affordable family fun all night and day! Explore terrific new shopping and entertainment complex with more than sixty retail and specialty shops, a number of popular restaurants and eateries, rides and games, dancing fountains, live music, attractions and much more.The Island in Pigeon Forge. It’s a beautiful, new, clean, safe and walkable shopping and entertainment complex with many affordable choices for entertainment, dining, shopping and lodging. So much is FREE, and ALL is affordable! 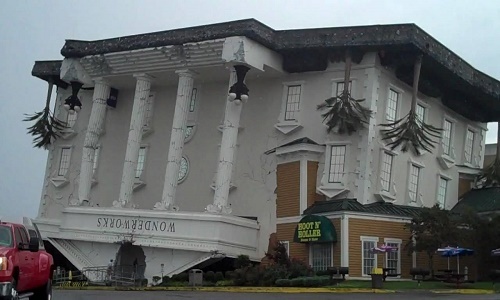 WonderWorks in Pigeon Forge, TN will intrigue, excite, and inspire from the moment . Originally, this attraction was built to be “An Amusement Park for the Mind.” It’s perhaps the most educational family attraction in town. There are more than 150 interactive exhibits—including the Bubble Room, where can wrap yourself inside a giant bubble. The young and young at heart will appreciate all of the hands-on activities, interactive exhibits, and demonstrations found within. explore an inversion tunnel, an anti-gravity chamber, a replica of the Mercury space capsule, and a hurricane hole with 65-mph winds. Plus, the re-creation of the 1989 San Francisco earthquake lets experience the effects of a 5.3 magnitude earthquake. All children are welcome. Free! Up to two children under 12 years stay free of charge when using existing beds. All further older children or adults are charged USD 10 per person per night when using existing beds. Extra beds are not available. Children's cots/cribs are not available. There is no capacity for extra beds in the room. Supplements are not calculated automatically in the total costs and will have to be paid for separately during your stay. Great place to stay, sheets and towels were changed on a daily basis. The room was cleaned daily, trash taken out for you. Amanda on second shift helped direct us to the places that we wanted to go to. Amy on first shift made sure that all our needs were met. We had the king bed with a jetted tub. It is a nice place to stay. My family and i went there last month and we not only loved the room but we decided that when we return that we were going to stay there .We had 2 bedrooms with king beds and each bedroom had their own bathroom,Spa Bath in one and shower in the other. This is the only place that we will ever stay at again while in the area. I highly recommend this hotel for all of your stays!! We had a beautiful view of the Island which was breathtaking to look at at night and it is directly behind the hotel!!! We stayed at the Mountain Vista Inn and Suites on a mini family vacation. There were 9 of us all together. We had the comfort of the beds and pillows,it was great.it had everything we need for the perfect stay. Tracy and Amanda at the front desk were wonderful,so nice and helpful to anything we needed.Overall this was probably the best short vacation we have ever had. The Only Place We'll Ever Stay in Pigeon Forge!!! 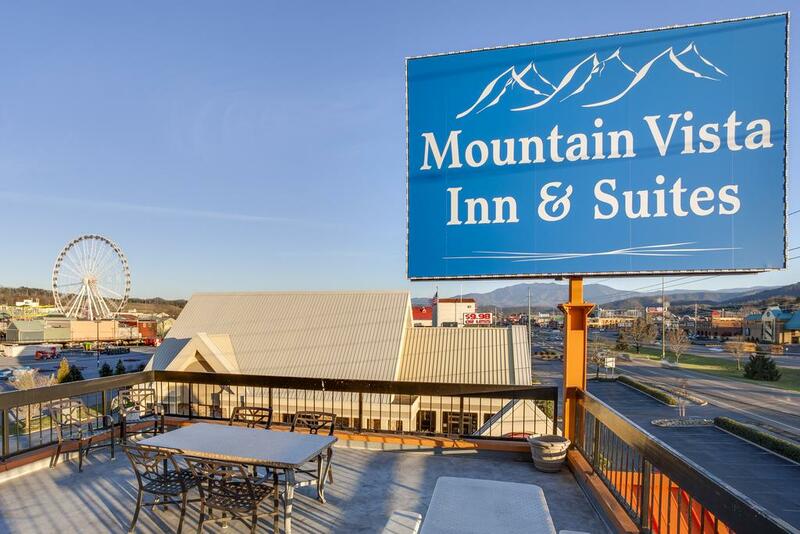 This was our family's fourth stay at the Mountain Vista Inn and Suites and we had a wonderful time! We have four children and one of our sons is Autistic. Changing our daily routine is not easy for him but he loves staying at this hotel! The staff has always been very friendly and helpful! 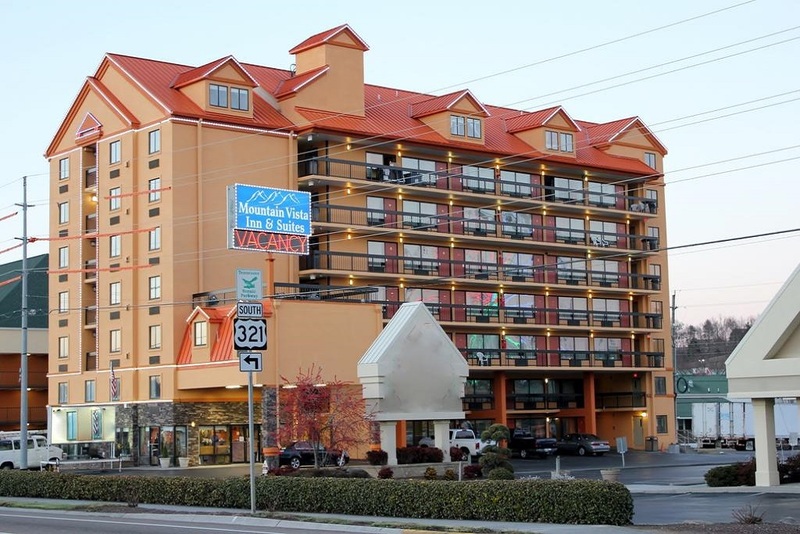 Because of the hospitality we are always shown, the clean and fresh rooms, and the great location of this hotel we will make it our place to stay every time we come to Pigeon Forge!!! It was very clean and a great price. Their breakfast was so good. Overall, very nice employees, and it was a very nice stay! We will stay with them again. My husband, grandchildren and I stayed here. Thanksgiving night. 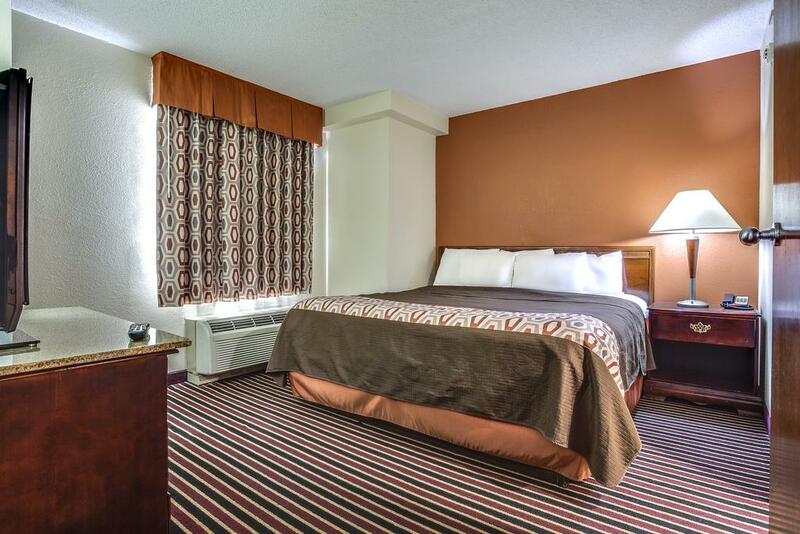 The rooms were clean, the staff was friendly and efficient, the price was terrific, and the location was very convenient. The continental breakfast consisted of sweet rolls, doughnuts, coffee, and milk. We'll definitely be back! I booked my whole family there in three rooms. They were so nice at the front desk and always willing to help us with anything, even making phone calls around town for us. I give this hotel the thanks. I enjoyed it so much I have already booked another stay.